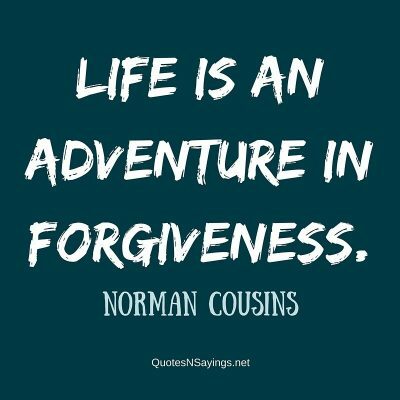 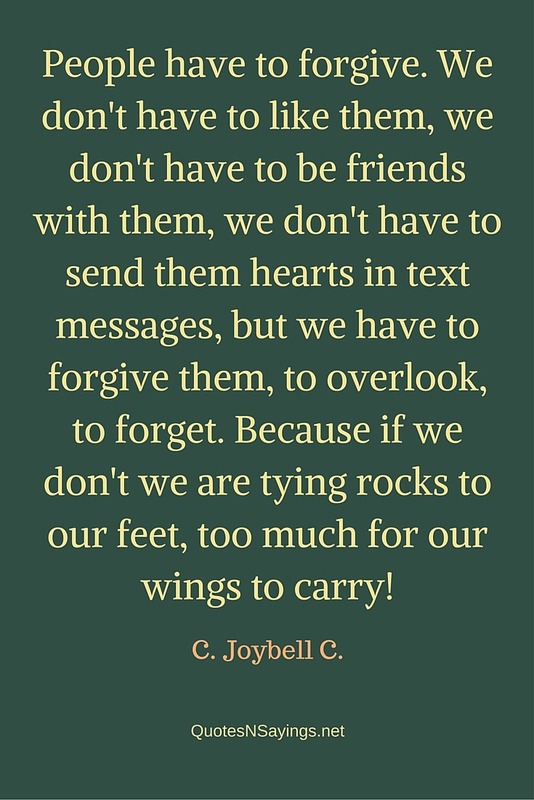 Sincere forgiveness isn’t colored with expectations that the other person apologize or change. Don’t worry whether or not they finally understand you. 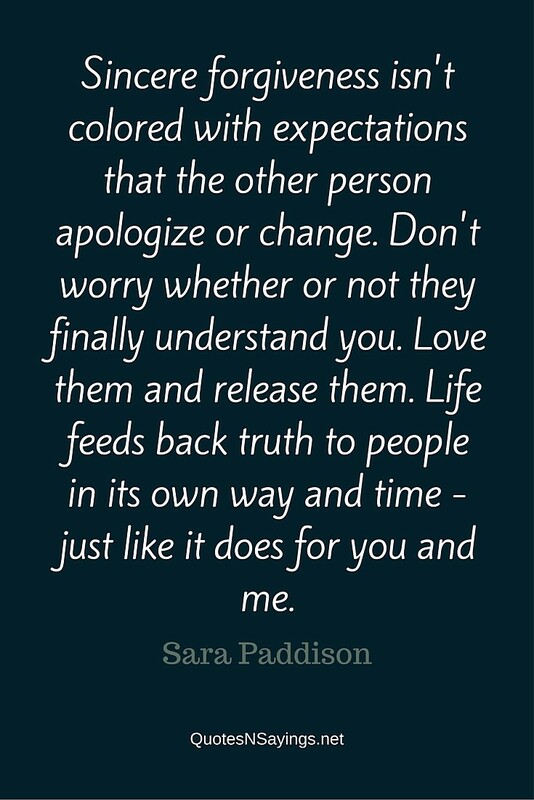 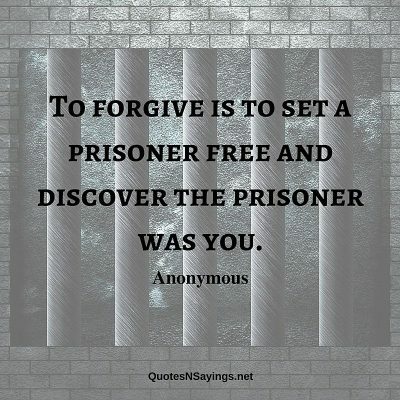 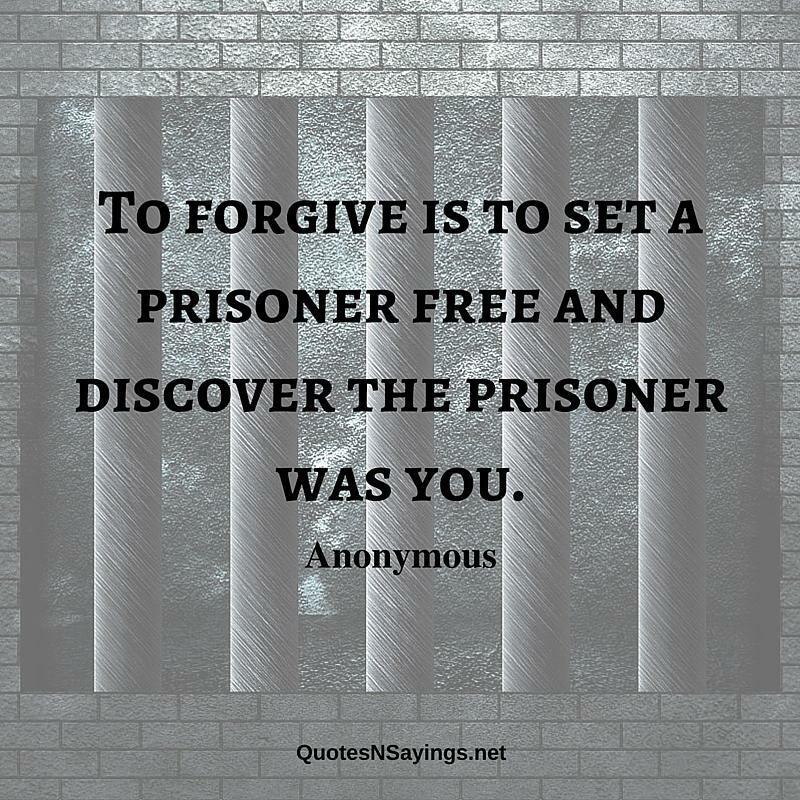 Love them and release them. 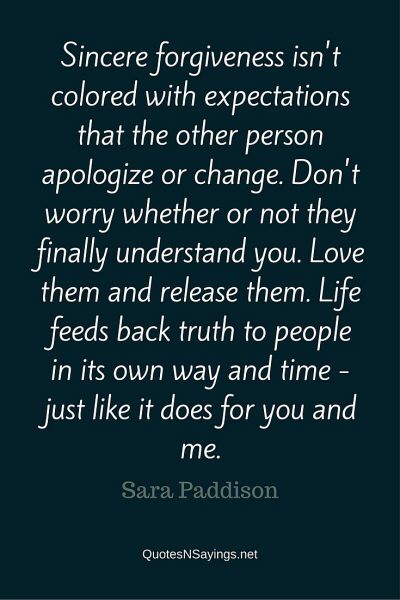 Life feeds back truth to people in its own way and time – just like it does for you and me.